I took a little break from everything else this week, which means I did a little art . . . haven’t done much for a long time now. It was so much fun, and still is . . . this top picture is where I’ve stopped for now. I retrieved an old work-in-progress, a picture that I haven’t touched in perhaps three years now – you can see it below. This older picture is from something different I was trying, way back then. There is a tool called a mosaic glass texture effect. You can see what this does in the image below – it makes a picture look like that glass you sometimes see in a doctor’s office, or in a dentist’s chair? This effect breaks the picture into tiny squares. 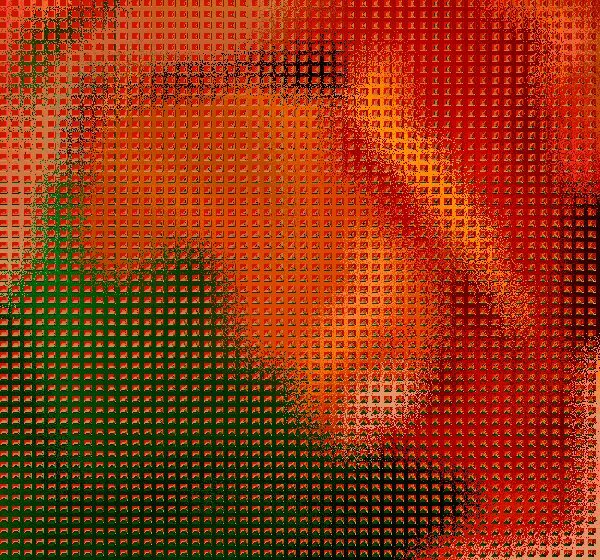 The picture, Mixed Emotions, was originally one of these tiny squares, from a very different picture. It would have been maybe about 1/8″ square, but I enlarged it and then reshaped it until it became Mixed Emotions. As in life, it seems I do things back asswards, because often I’ll do the painting first, and then go back and add the sketching, just so you can see what I’m doing! 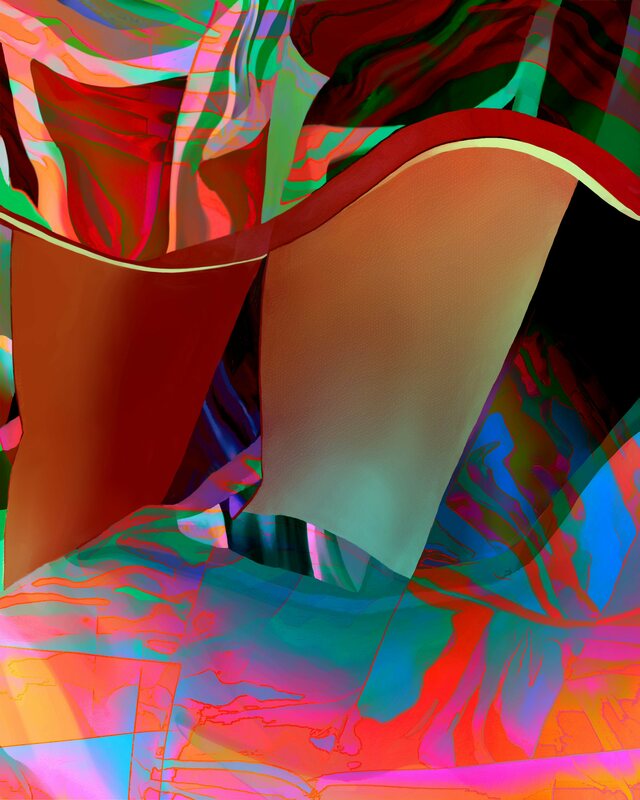 This entry was posted in Art and tagged abstract art on July 21, 2013 by Lawrence Grodecki. I don’t think it matters how you do something as long as you’re happy with it. It’s great that you put the sketching in for your readers to see and learn from. Very cool!